Adarsh Mahesh is a Research & Communications Associate at the Center for Democracy & Technology (CDT), working predominantly on EdTech and student privacy issues. 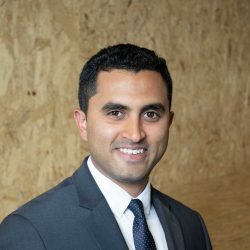 Prior to joining CDT, Adarsh was at ACT | The App Association, where he was involved in advocating for STEM education to be made mandatory in K-12 schools, as a way to better prepare students for the workforce demand of the future, and also address the gender gap in the STEM field. Before that, he worked with the United Nations Association of the National Capital Area’s (UNANCA) Global Classrooms DC program, where he helped develop partnerships with public and public-charter schools in the DMV area to get students more involved in the Model UN conference to make them better aware of the global issues of our times. Adarsh has a Bachelor of Engineering in Electronics and Communication from India, and a Master’s in Engineering Management from the George Washington University.